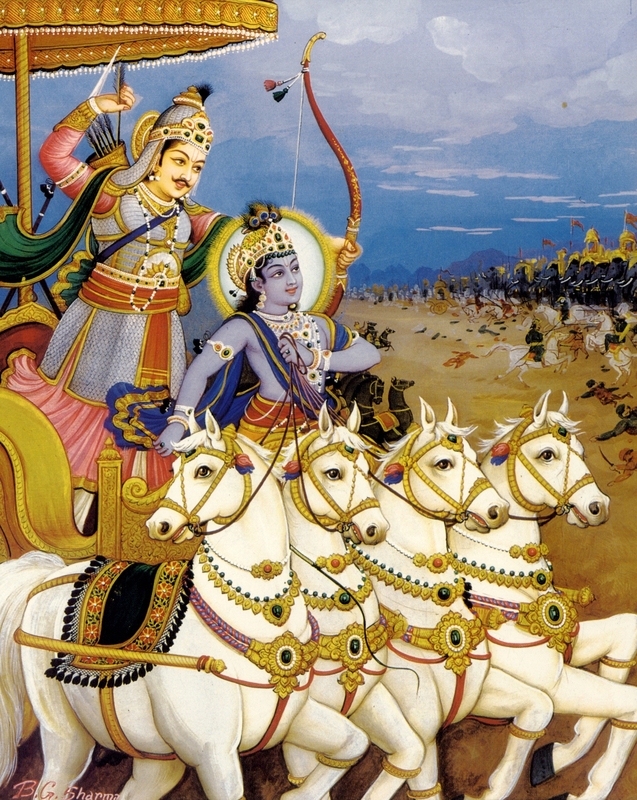 Today we celebrate Gita Jayanti, which is an annual celebration to commemorate the day when Lord Krishna spoke the Bhagavad-gita to Arjuna on the first day of the battle of Kurukshetra. 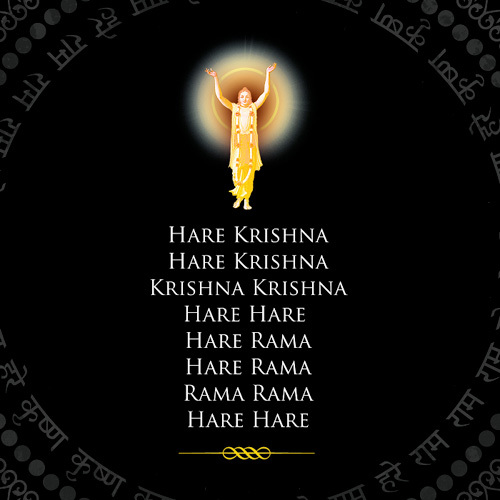 Recital of the Bhagavad Gita is performed throughout the day in most ISKCON centers throughout the world. 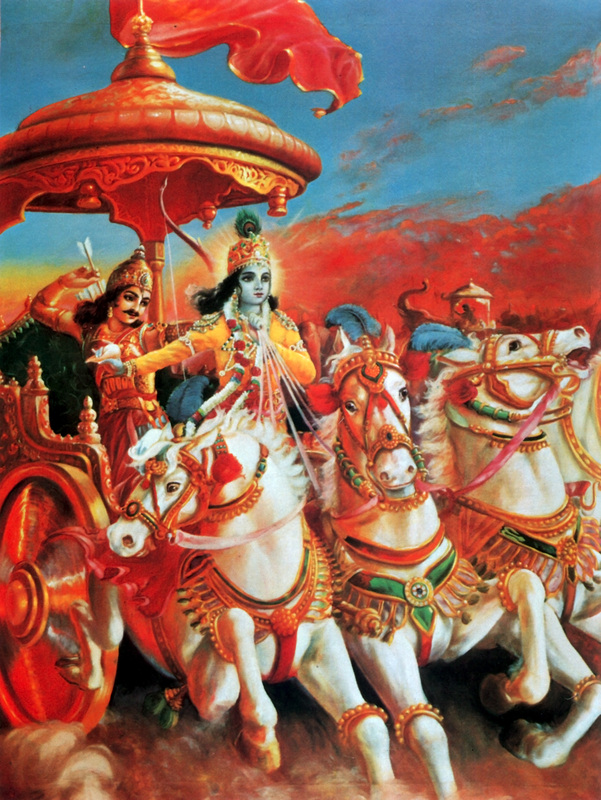 The Bhagavad Gita is considered the most important and influential Hindu scripture for its philosophical, practical, political, psychological and spiritual value. Bhagavad Gita Jayanti, or simply Gita Jayanti, marks the birth of this holy book. According to the traditional Hindu calendar, Gita Jayanthi falls on the Ekadashi day of Shukla Paksha or the bright half of the Margashirsha month (November-December). Gita Jayanti is an annual celebration to commemorate the day when Lord Krishna rendered his philosophical teachings – immortalized in the epic Mahabharata – to prince Arjuna on the first day of the 18-day battle of Kurukshetra. 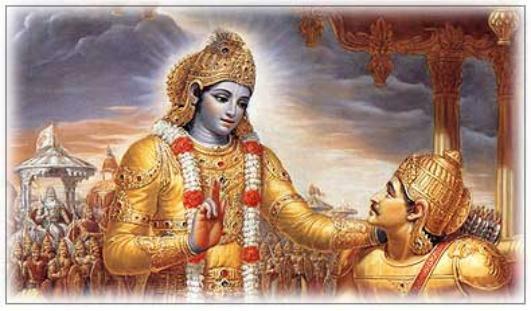 When prince Arjuna refused to fight against his cousins, the Kauravas in the battle, Lord Krishna expounded the truth of life and the philosophy of Karma and Dharma to him, thereby giving birth to one of the world’s greatest scriptures, the Gita. Lord Krsna appears in every millennium, in various incarnations, to annihilate the demons, protect the devotees and reestablish the principles of religion. From upper left-hand corner: Lord Matsya, the fish incarnation; Lord Kurma, the tortoise incarnation; Lord Varaha, the boar incarnation; Lord Nrsimhadeva, the man-lion incarnation; Lord Vamana, the dwarf-brahmana incarnation; Lord Parasurama, the warrior incarnation; Lord Ramacandra; Lord Krishna and Lord Balarama; Lord Buddha; and Lord Kalki, who destroys all demons at the end of the millennium. I have read and re-read this chapter many times this election year, and this is a perfect description on the demoniac man. My computer has not been working properly for some time, so I have not been regularly doing a morning post. But last night I got her working again, and this morning I couldn’t wait to sit down and post an image with some accompaning text. I admit, I have been spending too much time following the political circus, known as the United States presidential transition, and when I came across this image of Krishna and Arjuna on the battlefield, it excited me to read some from the Second chapter. Considering your specific duty as a kṣatriya, you should know that there is no better engagement for you than fighting on religious principles; and so there is no need for hesitation. O Pārtha, happy are the kṣatriyas to whom such fighting opportunities come unsought, opening for them the doors of the heavenly planets. 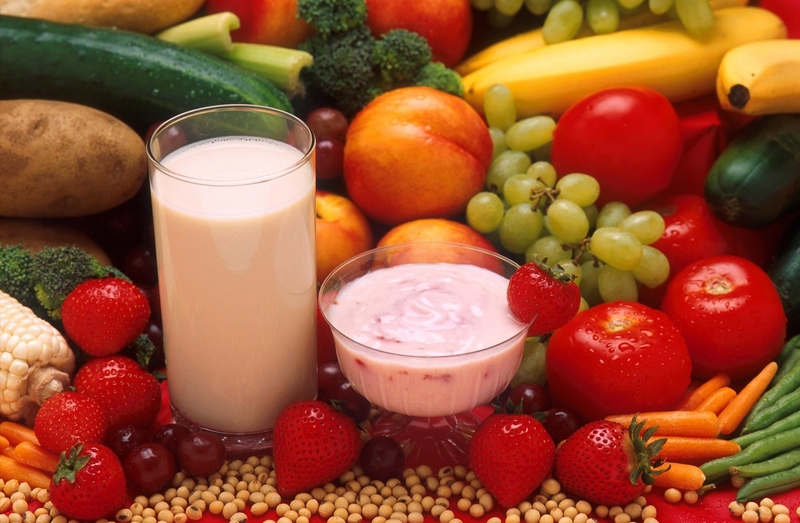 I must have woke up hungry, because my meditation this morning was on wholesome, nurturing foods in the mode of goodness. 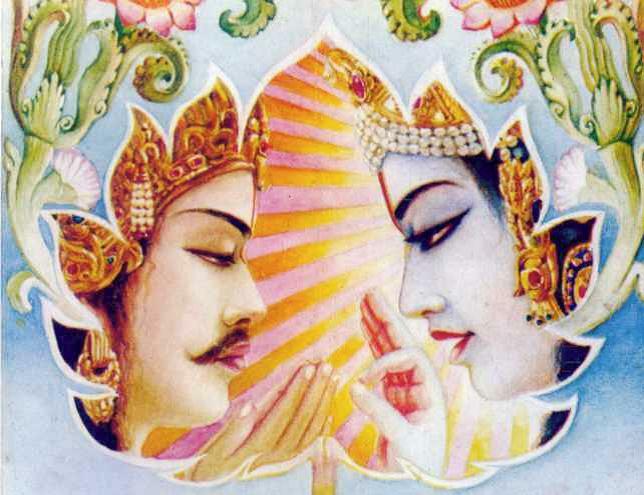 Somehow while reading the Srimad Bhagavatam the other day, I was reminded again that all the philosophy of Krishna Consciousness is contained in the Bhagavad-gita As It Is. It is such an important book. 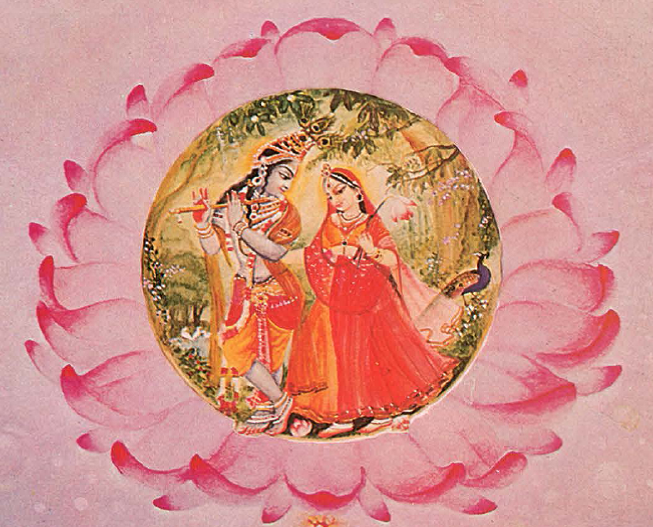 The song of God, sung by the Supreme Personality of Godhead, Himself. Hare Krishna! Sometimes when I need a boost in my Krsna consciousness, I will re-read the very powerful Introduction to the Bhagavad-gita As It Is. For me this Introduction explaines the entire philosophy of the Gita in a very nice way that even a layman like myself can easily understand. 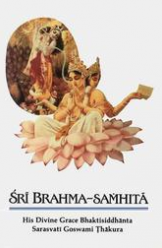 Although our readers can find this complete Introduction on other sites such as Prabhupadagita, Causlessmercy, or Prabhupadabooks I have decided to post the entire Introduction again here this morning. There is a print icon at the bottom of post where one can print out this entire post it they are son inclined. Hare Krishna! 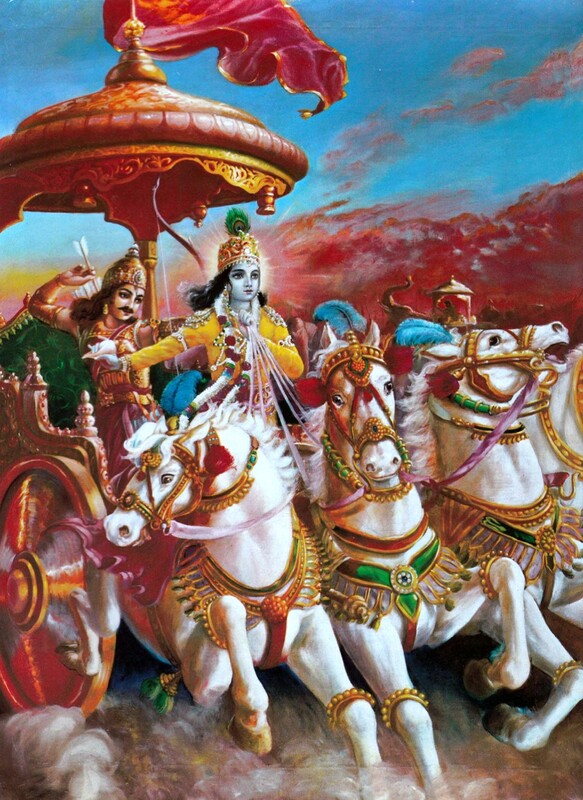 This morning I happened upon this nice Study Guide on the Bhagavad-gita As It Is. It begins with the Introduction to the Bhagavad-gita, some notes on the Original Edition, the significance of the Bhagavad-gita, a philosophical synopsis, chapter by chapter summary, Q & A, and a suguested teaching syllabus. All in all ,a very nice presentation prepared by disciples and followers of His Divine Grace A. C. Bhaktivedanta Swami Prabhupada. 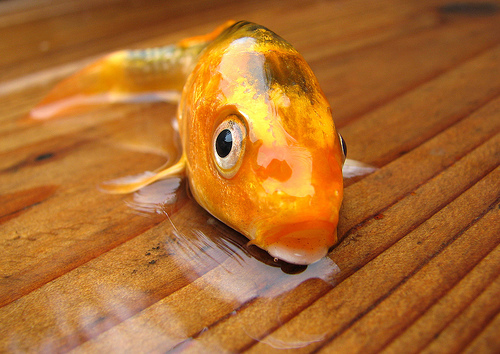 The other day I was talking with one guest, explaining that we are actually sac-cid-ānanda; (eternal, full of knowledge, and bliss), eternal spirit souls, but are, at the present moment, in a temporary position, just like a fish out of water. This is a very good analogy that Srila Prabhupada has used often in his preaching. 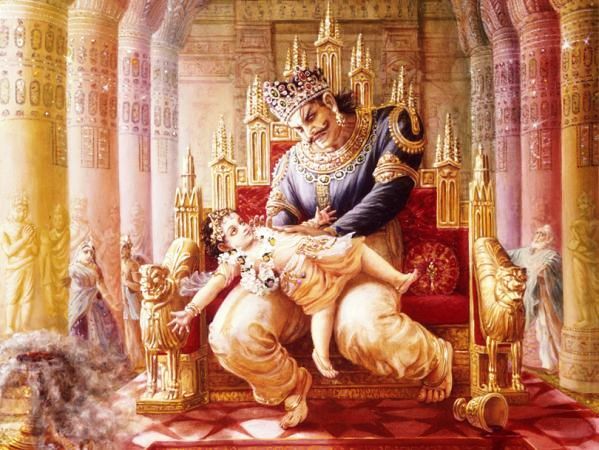 I did a search this morning on Prabhupada Books.com and found a few references that I am posting here, as well as one very nice Bhagavad-gita Lecture wherein Srila Prabhupada is describing the nature of the soul. 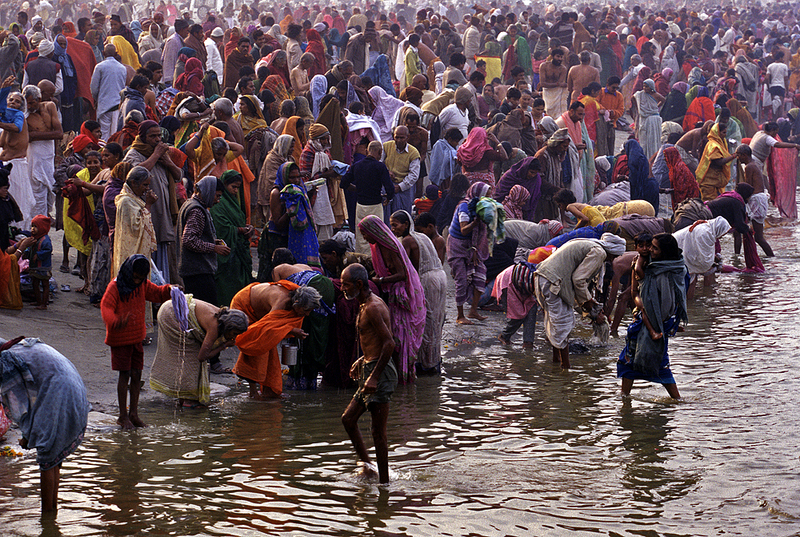 Humility, pridelessness, nonviolence, tolerance, simplicity, approaching a bona fide spiritual master, cleanliness, steadiness and self-control; renunciation of the objects of sense gratification, absence of false ego, the perception of the evil of birth, death, old age and disease; nonattachment to children, wife, home and the rest, and evenmindedness amid pleasant and unpleasant events; constant and unalloyed devotion to Me, resorting to solitary places, detachment from the general mass of people; accepting the importance of self-realization, and philosophical search for the Absolute Truth-all these I thus declare to be knowledge, and what is contrary to these is ignorance. 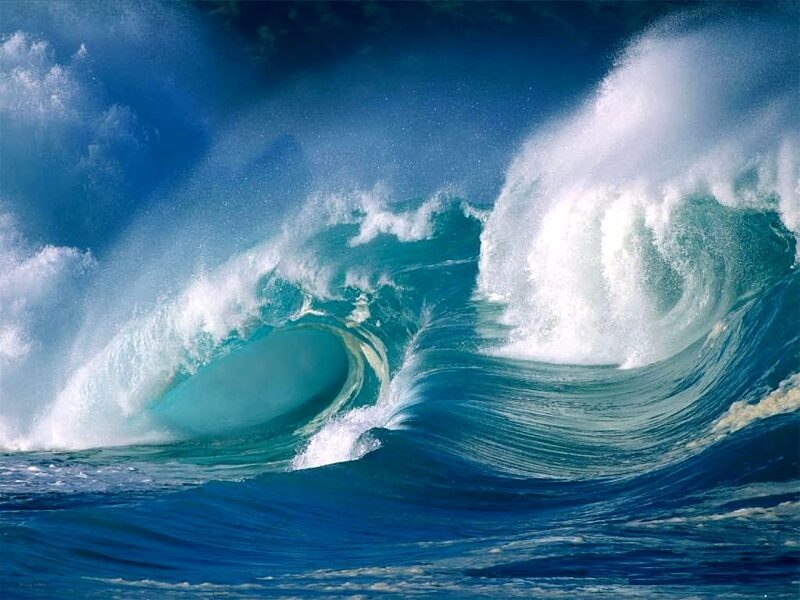 To those who are constantly devoted and worship Me with love, I give the understanding by which they can come to Me. This is one of those verses that years ago I added to my repertoire of memorized slokas, and remains today one of my favorite verses. 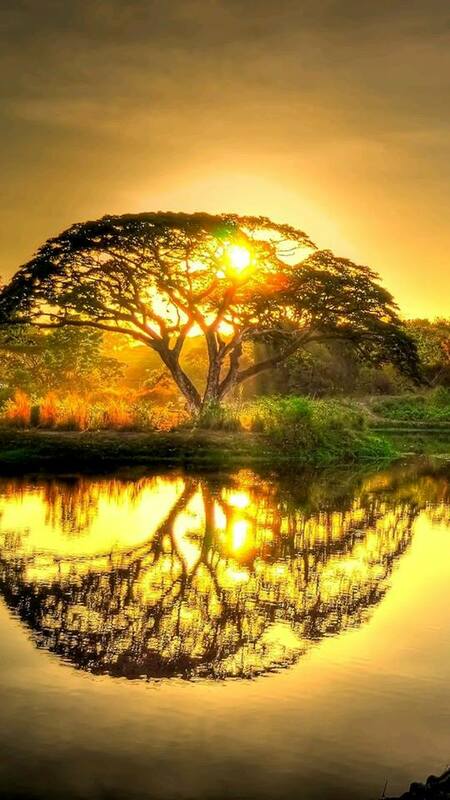 I have come to realize, that it is not by any great knowledge or scholarship, on my part, that I will make spiritual advancement, but rather, it is by faith and devotion, that I might be able to advance spiritually. We will be away traveling for a short time and will be away from our computer, but we leave you with this nice image and a verse from Srila Prabhupada’s Bhagavad-gita. Hare Krishna! When Lord Caitanya was traveling in South India…He saw one brāhmaṇa was reading Bhagavad-gītā. And people were joking him, “Oh, Mr. brāhmaṇa, how you are reading Bhagavad-gītā?” Because they were the neighbors, they knew that this brāhmaṇa was illiterate and he was studying Bhagavad-gītā. So they were joking. But the brāhmaṇa did not car. He was taking the book and in his own way he was reading. 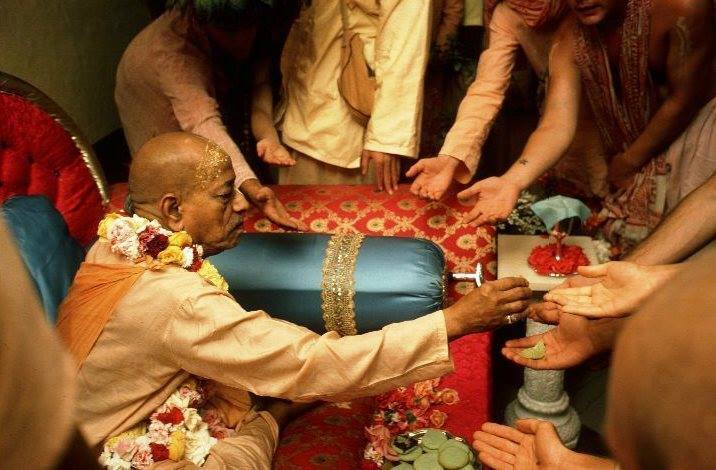 With the beginning of a new year, I am always apt to take up my studies with renewed enthusiasm, a resolution and firmness of purpose, to read more from Srila Prabhupada’s books, and to delve more deeply into the practice of bhakti-yoga. This morning I was reading about the spiritual sky; Goloka Vṛndāvana.